C&IT looks at the five regions in the Zurich area, each offering a different setting for C&I groups. 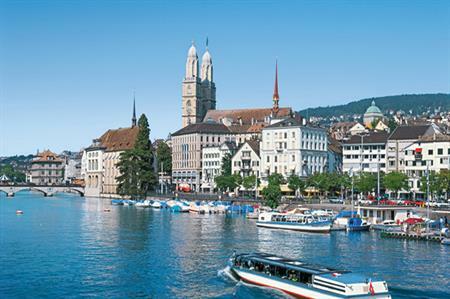 Zurich city: Take your pick of the city's 50 museums and more than 100 art galleries, international fashion labels and Zurich designs, and what is supposedly the most flamboyant and lively nightlife in Switzerland. Recreational activities range from a visit to the riverside and lakeside bathing areas in the very heart of the city, to a spectacular hike on the Uetliberg mountain. Winterthur: The medieval heart of the city is a treasure trove of art, history and nature. Being a city small enough to get around conveniently while also having a big-city atmosphere makes Winterthur a popular destination. Take a walk through the Old Town, strolling past mansions and visit some of the area's 17 museums. Rapperswil and Lake Zürich Rapperswil: The riviera at the upper end of Lake Zürich has many attractions including the castle, the medieval old town and the historical wooden bridge. Summer or winter, the Lake Zürich region offers many opportunities for sport. Baden: This historical city has a very lively present and is worth a visit, not just because of the Grand Casino Baden. Zug: The historic centre of Zug is best experienced by strolling through its narrow and winding alleys, lingering on the pretty lakeshore and sitting at one of the many street cafés to watch the world go by.